This week we take you on a journey to Manhattan Beach in California where the hero of our story lives. 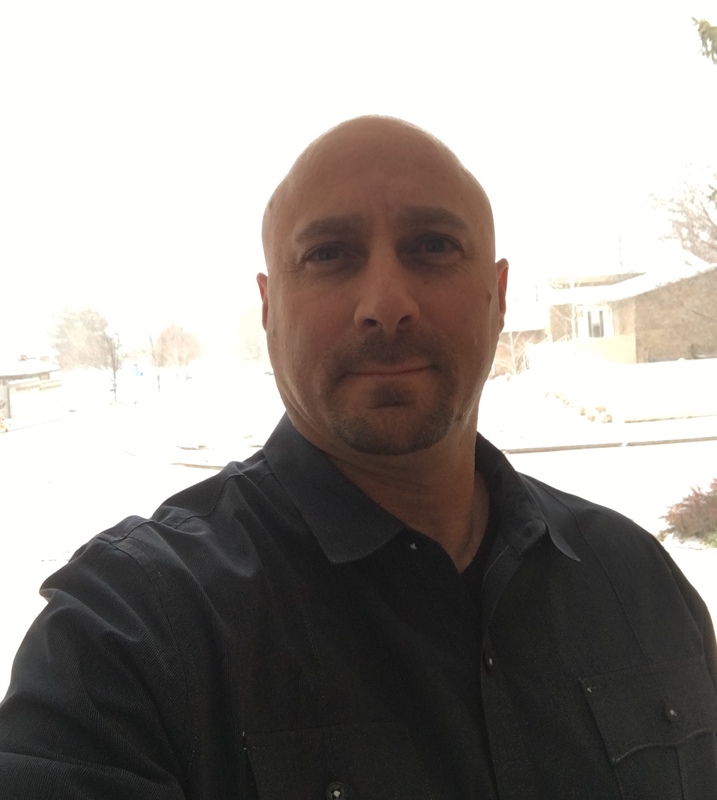 Jason Ramus has been trading futures, stocks and options for almost two decades, always looking for new things to learn. In fact, one key takeaway from his experience is focusing on one thing at a time. Currently he helps traders across the world via his website DayTradingFearless.com. Jason, please, tell us a little about your background. I started my journey in trading about 16 years ago. I got through different stages: first I learnt stocks and later options. Then I tried forex and futures. But the way I got into it is connected to living and working in Las Vegas at that time (Jason is a former Valet Manager at Las Vegas Parking, Inc. — note by Bookmap). One of the customers came up to me and asked to check out a certain stock. And I am like: ‘What’s a stock?’ So he explained what a stock is to me. Later I opened an account to day trade and eventually it became a rabbit hole: I started learning more and more. Tell us more about your strategies? From one perspective, it’s like a double-edged sword: you need to learn strategies to be able to survive, and then these strategies become your everyday tools. On another hand, there is no black and white, good or bad. As you try to get closer to the Holy Grail, you realize that there is none. What works for one trader may not fit another trader. What happens over time is that you start learning all different strategies. Unfortunately, it may not be very far from getting struck by analysis paralysis. When you try to follow all different things, you can’t successfully use all of them. It took me years to really nail down a couple strategies. For example, I believe it’s important to find your balance and trade small. I mainly trade and focus on trading the S&P Emini Futures these days. 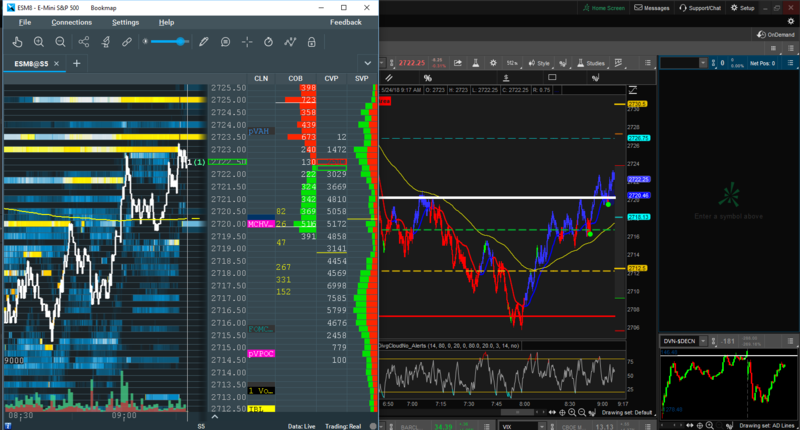 As for the technical part, I use Thinkorswim and trade the S&P Emini Futures and follow the 8/21 double-moving average, it’s a custom code I use with the Thinkorswim platform. It works best on the 512 tick chart. I also usually look for 2 ticks which makes my risk-reward skewed: I risk $100 to win $25, but I have a 95% winning record with this strategy. My stop loss is at 2 points. I never change my stop-loss. How did you learn to become so pragmatic? I watched the trading charts long enough to realize that consistency is crucial. Even if you are lucky to win big, there is a tiny chance to repeat such success. It is the reason why people often lose their money: they bet big or do not follow their strategy. What else I learned was to focus on a particular asset and master it day after day. Instead of hastily jumping on a trending stock and buying at the top, I stay in my niche and wait for the right moment to act. That said, I am a contrarian trader. I avoid popular runs and that’s my uniqueness. I believe everyone has his special trait or strategy. After all, it comes down to emotional strategy. If you can control your emotions, you can become a successful trader. What about other tools or indicators? For scalping, I may turn to support levels. You can also trade it with leverage. Sometimes you are looking for various setups and think: oh, I missed this and that setup. I have tried many tools and would trade whatever was on the watchlist. But then your list grows to over 100 stocks and it becomes ineffective. Following one stock or future is much easier to trade when you learn how it reacts to support and resistance levels and other things with using just a few tools. For example, I use the Relative Volatility Index (RVI) which is very similar to the RSI (Relative Strength Index). It assists me in finding divergence. I also use the overnight and draw my own Fibonacci extension levels from swing highs to swing lows for bigger moves and the levels I watch on the Fibonacci extensions are the 1.272%, 1.618%, and 200%. 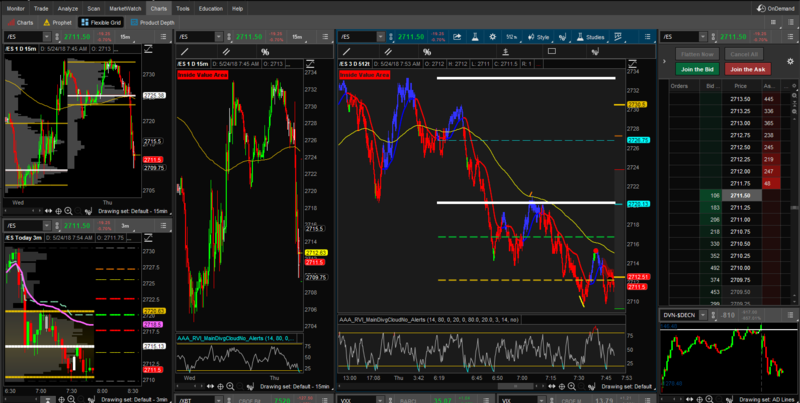 So when the market opens (6:30 am California time), I look for the Fibonacci extension overnight levels for reversal. The 1.272 Fibonacci extension level gives me about a 75% odds of reversing. The 1.61 Fibonacci extension level gives me about an 85% odds of reversing and the 200% Fibonacci extension level gives me about a 95% odds of reversing. And now you may use Bookmap to observe support and resistance for confirmation of your analysis. One thing I really like about Bookmap is that I can draw my own lines. I look at Bookmap to see if there is support or resistance that match with my own Fibonacci extension levels on my own charts. When they merge, it is an obvious sign. I focused on this strategy and mastered it. You mentioned that you tried trading different financial instruments. Why did you switch? I think trading is a journey. I’ve been doing this for over 16 years and I’m still learning. Once I get interested in a new asset, I focus on it and study it completely. At first, I wanted to learn everything… But at some point, I have reviewed all my experience and asked myself: what do I love best? I used to swing trade, especially AAPL stock, and other popular stocks. But in the end, I chose to trade S&P Emini futures that I have been trading between 10 and 12 years now. I continue trading it, mostly as a scalper/ day trader. It’s like watching just one movie over and over and over, and I did this every single day. I know how it reacts, how it bounces. So I became a master of this one product. The best analogy is walking into a casino: you have 20 games so just pick one and master this one game. What are the pros and cons of being a swing trader and a day trader? When I first started trading, I was day trading. I did not really understand that I could either win or lose a lot of money very quickly. One day I made a trade and won $3000 in just 2 minutes. I thought I was a genius. After that, I made another trade and I lost the same amount of money in around half that time. And that was a real eye-opener. Since then, I became even more conservative towards my trading strategy and learned how to swing trade as well. Pros for me are less trading commissions and much less time spent in front of the computer. You can spend an hour a day or even just a few hours a week doing research on stocks to trade. Cons: You have to worry about overnight risk in the stock such as earnings, CEO departures, news on the company, etc. that can move the stock. Pros: For day trading, the market is like a river of trades and if you follow its patterns, you can profit very well. Another advantage for day trading is that you can trade the futures and forex markets overnight. You also don’t need to worry about earnings or overnight risk. Cons: when you day trade, you have to pay a commission on every trade that can get expensive if you trade a lot, plus you may lose money along the way. On the other hand, you can make money and go home flat every night and have no exposure to the markets. In general, what was your motivation behind becoming a trader? Basically, I just wanted to learn something new. As I mentioned earlier, it was this guy in Vegas who introduced the stock market to me. The first book I read was by Toni Turner and I started exploring the industry. Cryptocurrency: have you traded any? I believe in the blockchain. It’s like the web 25 years ago. As far as we are talking specifically about cryptocurrency, I am long in a bunch of cryptos just to be in the game… For me, it’s more like a “buy and hold” strategy. I own Bitcoin, Ethereum, and some penny tokens. But my concern is that cryptocurrency is not regulated like the equities market. A lot of the tokens are not connected to these blockchain companies directly. The coins may disappear but the company will stay afloat. Also, people doing these coins can run away with your money without anybody being responsible for it. Therefore, it’s crucial for regulation to step in so there would be less fraud, and the ICOs need to be regulated to keep everything honest. There will be a max of 21 million bitcoins which is definitely not enough for everyone. So I consider it rather as a form of virtual gold. Bitcoin has become a store a value which is where the real value of the coin comes in. Concerning the blockchain technology, it has tremendous potential. It will disrupt every industry that requires a counterpart, like in trading and other industries, and eliminate the middlemen. For instance, when every doctor uploads all my info, this data is rarely synchronized. But with the blockchain, we’ll have a secure and reliable way to share necessary info among parties in a trusted environment. Decentralization will also have its take on companies like Equifax who monopolized access to our information. Blockchain can solve the problem of privacy by being immutable towards hacking and conforming to the new GDPR rules. Will machines replace traders completely? Will traders disappear? I don’t believe so. There will always be a market for traders. It’s the gambling part of our leisure so the form might change but the activity will remain. Some people are concerned about the volatility. But trading is trading and you have to know how to use your skills. I also think that the crypto market is the new forex market. We are seeing how back in October-November 2017 Bitcoin started its parabolic rally to $20K. At that time, I was going to crypto trading meetups where overexcited traders were saying it’s only going up. At that point, I knew we were in a bubble when people who have never traded the markets thought it would just keep going higher forever and thought they knew everything about trading. Since then Bitcoin has dropped to the lows in the $5k range and is currently at around $7500 as of this interview. I have not seen any of those people at the meetups anymore, and most of the meetups I went to are no longer around. In terms of profits, what is enough for you? For instance, imagine that you are given $10 million, would you stop trading? No… For me, trading is not about the money side of it. I don’t care if I earn $10 or $10 million, I will always trade until I die. As for making money, I think of it more as a marathon than a sprint, it’s a long way to the finish line. With that said, I follow the market and try to spot what it is giving me every day. If any trader could give you a one-hour master-class, who would you ask? It would be Daytrading Rockstar of DaytradingRadio.com who I have followed for the past 10 years and have learned so much about technical analysis of the markets. Usually, I like to review the trading day and release my energy at the gym. I want to stress that practicing the emotional side is critical to your trading success but people don’t want to hear about building their psychological resistance. They are wrong. To be successful, you have to master your emotions, too. DayTradingFearless — is it your personal motivation or you like to share knowledge with others? Yes, I started DayTradingFearless about 6-7 years ago. I wanted to keep myself motivated and share my trading knowledge with others. With time, it has evolved into multiple things, but it comes down to where I want to focus my trading. At the moment I share weekly Support and Resistance Trade Zones for /ES (S&P 500 Emini). You can join the website for a humble membership fee of only $10 month. For people who need help with their own trading and need mentoring, I am eager to show how to trade live online using Skype or Teamviewer. I only charge a rate of $25 per hour. I love passing my knowledge on to other traders. I have a lot of YouTube videos regarding various trading strategies and psychology information, my Youtube channel is ‘DayTradingFearless’. Thank you, Jason. It has been a fruitful interview. Before we finish, could you please say what should each trader remember? Maybe an advice or a wish to our readers? Less is more. Honestly, when you trade, focus on one thing and become an expert in it. I can’t stop emphasizing it. Discover what you are good at and improve your skills and gain experience in it. Watch charts all day, every day, for years, and eventually, you will become an expert. You cannot learn something profoundly in just 3 months. The knowledge is ever evolving; the market is constantly changing, and you have to adjust to it. So evolve with it. Looking at charts to figure the trend is important. I also have been with Bookmap from the early days, and I use it on a daily basis. Watching the evolution of what Tsachi is doing is amazing. Bookmap is both for day trading and scalping so it should work well for you too. 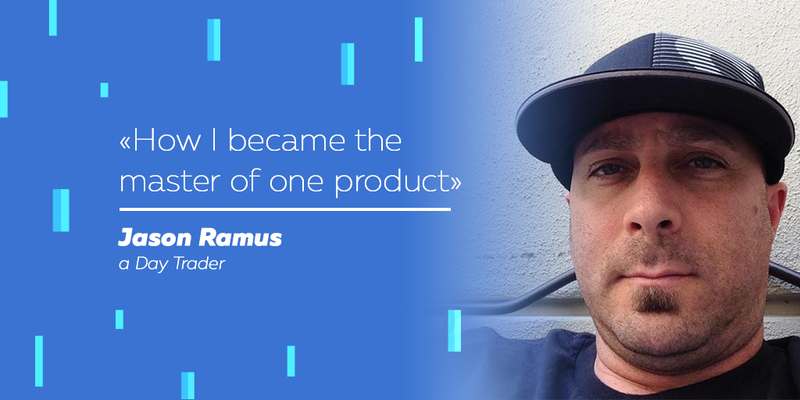 Regards to Jason Ramus, a day trader who specializes in Futures, Stocks, and Options. We spoke for almost one and a half hour but had to fit our conversation into the article. Let us know if you liked it.